CFTB has a money back guarantee (minus restock fee) that allows you 30 days from the date you take delivery to inform us you would like a refund. 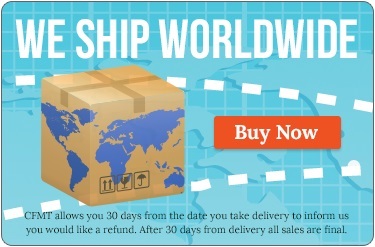 After 30 days from delivery all sales are final. Buyer pays all return shipping back to CFTB and upon receipt of the merchandise we will refund minus restock fee. If less product is returned than what was purchased we will pro-rate from initial purchase price. There WILL BE a 20% restock fee deducted from the purchase amount. This covers time and cost associated with the return process. Great Seller, Fast Shipping, Excellent Communication. Highly Recommend! Beads shipped fast, and install was a breeze. Thanks! Everything about the transaction was perfect, what else can you say!